The Sully Baseball Daily Podcast was recorded in part today at the Home Depot. 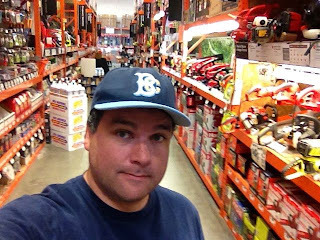 I needed to do some repairs at home, and I entered that intimidating palace of unchecked masculinity. Later I had a ladder tied to the roof of my car. Meanwhile I discussed which teams need some repairs as well. Miguel Cabrera, Jeremy Guthrie, Troy Tulowitzki and Jose Fernandez owned baseball on May 3, 2013. This battle obtained been exactly 26 hours in generally making. Start around and have what you will certainly find and get a hold of started!